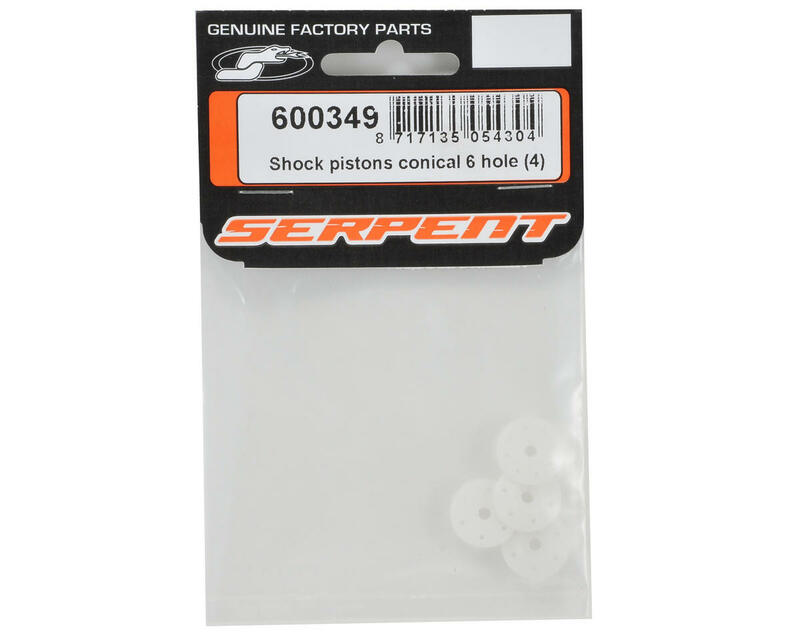 This is an optional Serpent 6-Hole Conical Shock Piston Set, and is intended for use with the Serpent S811 Cobra 1/8 buggy. These machined 16mm delrin shock pistons are perfectly round and create super smooth shock action. 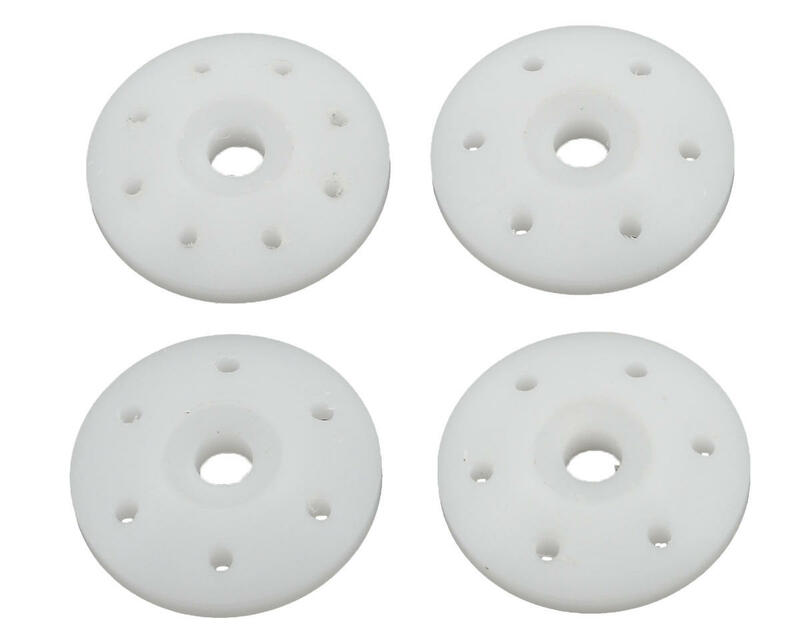 Available in sets of four with 6, 8 and 10 holes.